This web page is dedicated to all veterans who served the Allied cause on D-Day, June 6th, 1944. 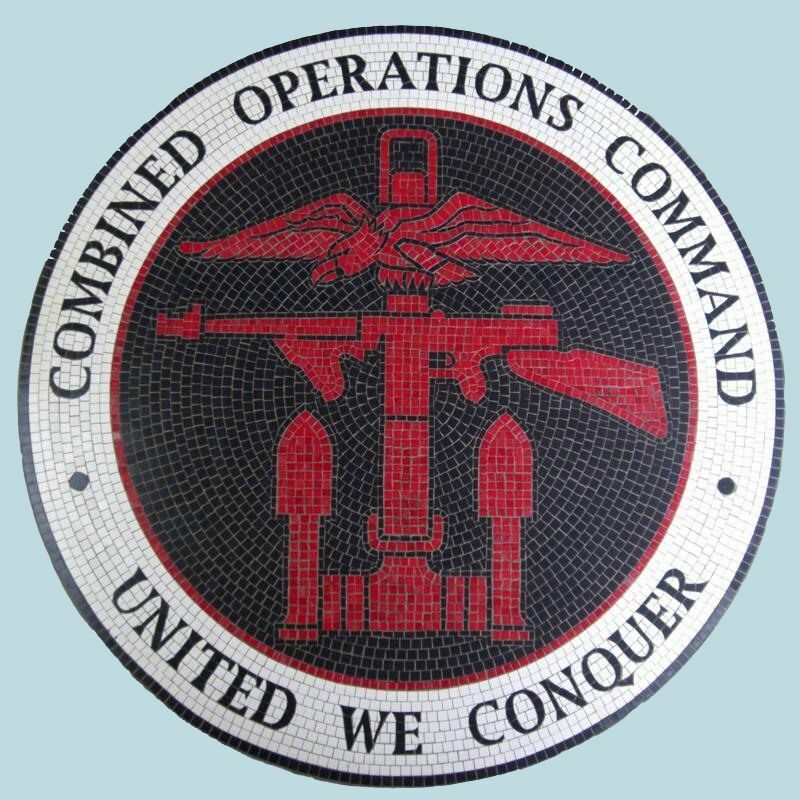 It brings together in a single place over 30 personal recollections of veterans from the Army, Navy and Air Force who served in or alongside the Combined Operations Command, including several from the USA. There are contributions from, for example, a Commander of a Squadron of 50 landing craft to individual crew members of a landing craft types such as Tank, Rocket, Gun, Flak, Kitchen, Vehicle, Personnel etc. The recent addition of Google maps, extracts from the Admiralty's "Green List" of landing craft dispositions just prior to D-Day and Imperial War Museum photographs, now 'illuminate' the texts. We think of those who lost their lives that day in the service of their country who will be remembered on a magnificent new memorial to be constructed in Normandy not far from the site of the Mulberry Harbour at Arromanches (http://www.normandymemorialtrust.org/ ). We also remember the sacrifices and achievements of those who served the Allied cause before and after D-Day in many parts of the world. A Nation's Gratitude On D-Day + 6, Churchill and his military advisers visited the Normandy beaches to see the invasion in progress for themselves. On return to London that evening they sent Mountbatten a signal to express gratitude for the part Combined Operations had played in what they described as 'the manoeuvre in progress of rapid development'. Operation Neptune, the amphibious phase of Operation Overlord, was 4 years in the making. Operations Neptune D Day, June 6, 1944. 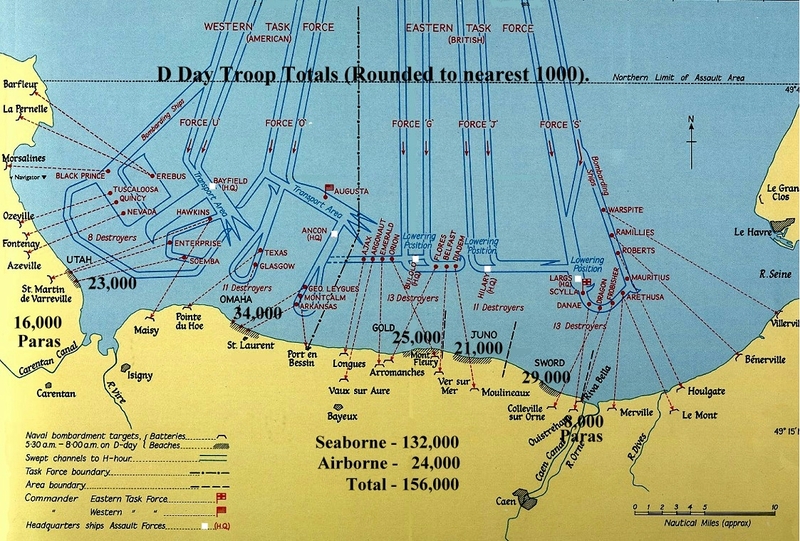 Operation Neptune was the seaborne/amphibious part of D Day, which was the culmination of four years of planning and training under the auspices of Combined Operations joint staff from the Army, Navy and Air Force. Around 132,000 troops were landed on the Normandy beaches by over 4,000 landing craft on D Day but the total who completed landing craft training at the No 1 Combined Training Centre. Inveraray was around 250,000... and there were many other training establishments in Scotland and the south coast of England. 45 (RM) Commando The landings on the beaches of Normandy and the immediate aftermath are brought together with the story of Marine, Bernard Charles Sydney Fenton. It covers the early years of 45 Royal Marine Commando and draws heavily on the official publication 'The Story of 45 Royal Marine Commando' written by the 45's officers and published privately for members of the unit and their relatives. Front lines were often unclear and transient as troops on both sides moved around the contested area. This is graphically illustrated in the detailed descriptions of the many actions 45 Commando was involved in. HQ Ships In WW2, Headquarters Ships and HQ Assault ships shared the task of implementing the detailed plans for large scale amphibious landings on enemy held beaches. They also monitored the progress of these plans and adjusted them in the light of experience and circumstances. In modern parlance, they were floating Command and Control Centres with enormous capacity to communicate with aircraft, other ships, home shore establishments and units operating in the battlegrounds. They worked closely with the FDTs. Fighter Direction Tenders Fighter Direction Tenders were, in conjunction with their HQ ships, floating command and control centres which bristled with antenna and aerials for radar, communications and intelligence gathering purposes. They were the eyes and ears for the large scale invasion forces off the beaches of Normandy in June of 1944. They extended the cover provided by shore based radar and communications on the south coast of England well into enemy occupied France. There were 3 Fighter Direction Tenders designated FDT 13, 216 & 217. After about 3 weeks, the two survivors were withdrawn as land based mobile radar units were established in France. FDT 216 by a Leading Aircraftsman This page is based on the diary of LAC, Leslie Armitage, who served on Fighter Direction Tender (FDT) 216 off the American beaches of Utah and Omaha. It covers only 10 days from June 5, 1944 because a further 22 days went down with the ship! On July 7, FDT 216 was hit by a torpedo, turned turtle and was deliberately sunk because she was a hazard to shipping. By then, her vital work was almost over as mobile land based radar units established themselves in Normandy. 524 LCA Flotilla 524 LCA Flotilla took part in the "initial assault" landings on Gold Beach on D-Day against heavily defended enemy positions. There were 18 craft in the flotilla, 15 LCAs each carrying around 35 assault troops and 3 LCS (M)s providing heavy machine gun cover. All were carried to Gold beach on their 'mother ship' the SS Empire Arquebus. This account explains the experiences of both type of craft separately although, on training exercises and operations, they operated closely as a single unit. 519 LCA Assault Flotilla Leonard Albert King was just 20 years old when he piloted his flat bottomed Landing Craft Assault (LCA) from his mother ship to the Normandy beaches early on D-Day morning. Their small flotilla of six were amongst the very first to land on D-Day to face enemy guns, mortars and shells. LCAs were small troop carrying craft usually transported on mother ships to within a few miles of the landing beaches. At a predetermined time and place, they were lowered into the water with their crew of 4 and around 35 fully armed troops, to make their way to the landing beaches. 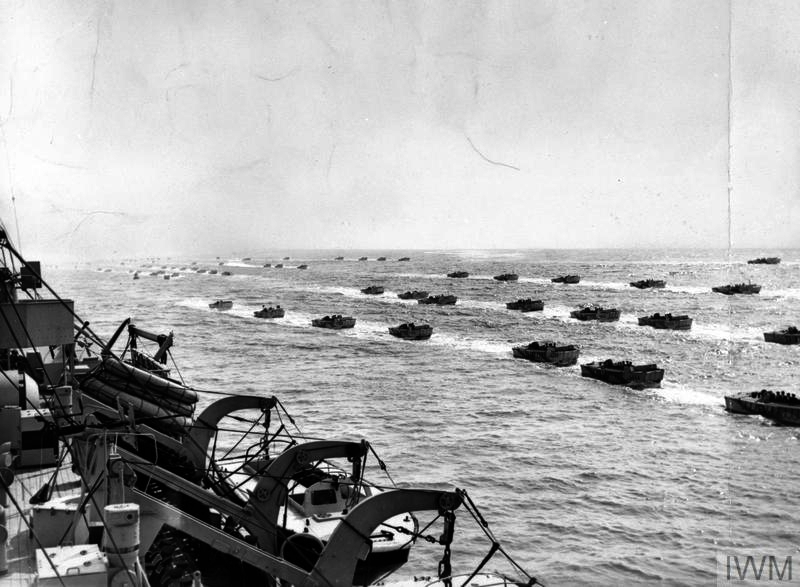 US LCI (L) 502 US Landing Craft Infantry (Large) 502, carried 196 Officers and men of the Durham Light Infantry to Gold Beach on D-Day, June 6th, 1944. The well planned and disciplined order fell into disrepair as she and her sister craft approached the landing beach to chaotic scenes. Despite this, 502 successfully disembarked her troops onto a broached British LCT and hence onto the beach. They also rescued 27 stranded British sailors whose small landing craft from earlier landings were lost. Unusually, this account includes photographs taken during the actual landing. Based on the writings of John P Cummer (Photo) including information from 502s Deck Log. LBK 6 Landing Barge Kitchen. When the enormous scale and composition of the Normandy invasion force became known, it was realised that many small craft, operating off the landing beaches, would not be equipped with a galley to prepare their own hot meals, or indeed any meals. The Landing Barge Kitchen was designed and developed to satisfy the anticipated demand. They had a capacity to provide 1,600 hot meals and 800 cold meals a day and operated like an amphibious fast food outlet with unlimited parking! In this account we follow the history of the craft from the Normandy beaches to its 21st century use, despite several declarations along the way to 'retire' her. A remarkable Normandy Survivor. Landing Craft Support Squadron The primary task of support landing craft LCGs, LCFs and LCRs (Guns, Flack and Rockets) was to soften up entrenched enemy positions on and near the beaches in advance of the initial assault troops landing. Hundreds of high explosive rockets were launched in rapid sequence onto the landing beaches by the LCRs but all firing ceased as the LCAs, carrying the initial assault troops, were nearing the beach. The LCGs & LCFs, however, continued to provide protective fire cover if the LCAs were attacked from land, sea or air. Because they could operate close inshore they also fired on targets identified by the advancing troops. The LCGs were described by the BBC as "mini destroyers"! There are separate accounts of the 3 support craft on this page. LCF Landing Craft Flak (LCFs) were converted Landing Craft Tank (LCTs) with the front ramp welded in position and the hold decked over as a platform for anti-aircraft guns. There were a number of variants (Marks) but most were around 150/200 ft long with a beam of around 30/40 ft. LCTs were designed to carry tanks and heavy transport while the LCFs were equipped with anti-aircraft guns to provide air cover for the invasion fleet, particularly the troop carrying Landing Craft Assault (LCA) flotillas, which were poorly equipped to defend themselves against air attack. A light-hearted and humorous style belies the very dangerous situations the author found himself in and the death and destruction he witnessed. LCT (R) 363 Landing Craft Tank (Rocket). In approaching enemy held landing beaches from the sea the initial assault troops were likely to come under fire from machine guns, mortars, shells and snipers and be confronted by a variety of beach obstacles, including mines. There were other measures for dealing with the latter but blasting an area of beach about 400 yards by 100 yards would degrade everything in it. The more the enemy's defensive preparations and communications were destroyed, disabled or disrupted and the enemy troops manning their posts were disorientated, the fewer casualties would be suffered by Allied troops in establishing their beachheads To assist in this, the Allies developed a number of secret weapons one of which was the Landing Craft Tank (Rocket) - LCT (R). In just a few seconds, LCT (R)s could fire hundreds of rockets, each with the explosive value of a 6 inch shell. They were fired onto the landing beaches just ahead of the first wave of assault troops so accuracy in ranging and timing was paramount to avoid self inflicted Allied casualties. 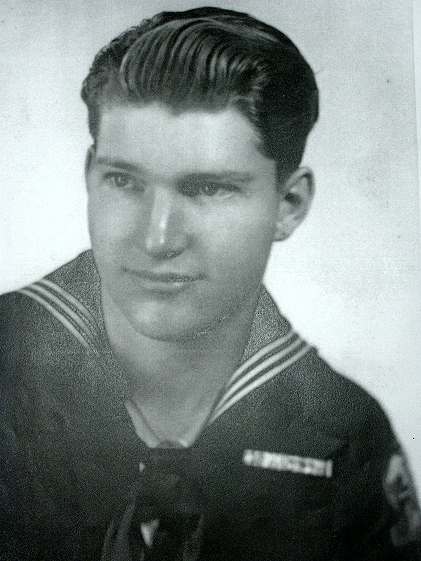 This account is by stoker Frank Woods, DSM, who served on LCT (R) 363. US LCT (R) The deployment of British made United States manned Landing Craft Tank (Rocket) vessels off Omaha, Utah and Southern France as told by Lt Commander Carr who was in charge of 14 such craft and their crews. After a few months training in the USA with converted British Mark 3 LCTs, they shipped to Scotland in November 1943. They were based at HMS Roseneath, known to them as US Navy European ‘Base II’ in the River Clyde estuary, where their training continued with the LCT (R)s they would take to war. The British rocket craft were twice the size of their USA equivalents with the capacity to launch over a thousand explosive projectiles onto enemy held beaches just minutes ahead of the initial assault troops landing. Ranging and timing were, therefore, vital to avoid Allied casualties. The more the enemy's defensive preparations and communications were destroyed, disabled or disrupted and the enemy troops manning their posts were disorientated, the fewer casualties would be suffered by Allied troops in establishing their beachheads. US LCT (R) 439 United States Landing Craft (Rocket) 439 - US LCT (R) 439, was a specialized landing craft which carried 2896 5 inch x 4 feet (127mm x 1.2m) explosive rockets, designed to soften up enemy coastal defensive positions immediately prior to the landing of the initial assault troops. Her Commanding Officer was Lieutenant (jg) Elmer H Mahlin and his 2nd in Command was Ensign George F Fortune, the author of the first part of the craft's story. The second part gives the Commanding Officer's perspective as compiled by his son, Stu from the contents of his father's old sea chest. 601 LCM Flotilla 601 LCM (Landing Craft Mechanised) "Build-Up" Flotilla comprised 16 identical craft whose primary purpose was to ferry supplies, ammunition, fuel etc from large vessels anchored several miles offshore to the landing beaches. They did this for 6 weeks from D-Day but their battle with the elements had more tragic consequences than their battle with the enemy. They were on their way home from Normandy when they encountered very rough weather. Most of the craft were in rather poor condition by then and two sank but the crews were rescued by another LCM. However, any jubilation was short-lived since, three hours later, it foundered as well. Only one man survived out of a total complement of 32. LCV (P) 1228 Landing Craft Vehicle (Personnel) 1228, was a relatively small flat bottomed boat with a capacity to deliver a few vehicles or around 35 fully armed assault troops or general supplies onto the landing beaches. There were many hundreds of these craft deployed on D-Day, June 6th, 1944. 1228 was part of the 805 LCV(P) flotilla of 16 craft bound for Gold beach. Her initial cargo was one hundred 5 gallon jerry cans of petrol. The 3 man crew's concerns about the hazardous cargo, soon gave way to survival strategies in the choppy waters of the English Channel. 1288 survived a little over 24 hours. *"I" LCT Squadron This is an incisive, often amusing account of a WW2 Landing Craft Tank Squadron of around 50 LCTs and LCIs (Landing Craft Infantry), written by its Commanding Officer shortly after the end of the war. The story starts in the harsh, cold, winter of 1943/44 in the Moray Firth on the north east coast of Scotland and ends with the hazardous landings on the Normandy beaches on D-Day, June 6, 1944. The story is told by the Flotilla's Lieutenant Commander Maxwell O W Miller, RN, later Commander. Of his men he wrote; Elie Halévy, that great French historian of the British people, says somewhere, that the most inexplicable thing about the British Navy is that its greatness has been built up against a background of ill-used sailors, in ill-found ships, commanded by the most undisciplined corps of officers that ever stepped a quarterdeck. In the recent war, it was my good fortune to serve in Major Landing Craft, the Tank and Infantry Landing Craft that bore the brunt of the landings in France and Italy, and to command a squadron that would have delighted Monsieur Halévy’s historian’s heart! LCT (4) 749 Landing Craft Tank (Mark 4) 749 was in the first assault wave onto Gold Beach on D-Day morning. 749 was part of the 28th LCT Flotilla ‘D’ LCT Squadron. Her cargo included specially adapted tanks (known as Hobart's Funnies) for the clearance of beach obstacles in advance of troop landings. This was extremely hazardous work undertaken before enemy resistance had been cleared. Crew member, Crew member, stoker Mountain, was lawarded the DSM (Distinguished Service Medal) for his cool conduct under fire. This account was written by Commanding Officer, Lieutenant Jack E Booker, RNVR. LCT 795 Landing Craft Tank 795. From early training to D-Day and beyond seen through the eyes of the craft's electrician. The crew lived through hazardous work off Normandy when they disembarked the USA's 531 Engineer Shore Regiment onto Tare Green sector of Utah beach at H-Hour + 320 minutes; just before mid-day. The crew's safety and well-being depended on each other and they bonded well as a team but that came to a sudden and unexpected end. Their craft was unexpectedly written off during repairs, while the crew were scattered to the four winds on home leave. They were individually allocated to other duties and the author never saw his shipmates again. LCT 861 was a unit of the 38th Flotilla of Assault Group S3, Support Squadron. Their primary task on D-Day was to deliver a detachment of the 76th Field Regiment and four of their self-propelled Priest 105mm howitzers mounted on a Churchill tank chassis and two half-track reconnaissance vehicles to Sword beach. The 24 guns carried by the flotilla fired on enemy positions from a distance of 11,000 yards down to just 2,000 yards, when the initial assault troops were about to land. Although official records show 9 LCTs were in the flotilla, both accounts of 861 on D-Day record only 6. It's entirely possible 3 were loaned to another support squadron. LCT 821 On D-Day, Signalman Eric J Loseby served with His Majesty's Landing Craft Tank 821 of the 42nd Flotilla of ‘I’ Squadron Landing Craft. 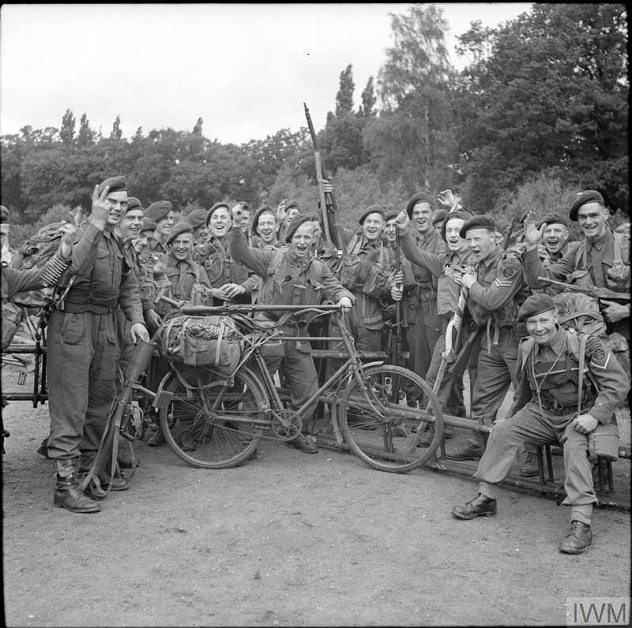 From training and over-wintering in the cold waters around Scotland's north-eastern shores to undertaking running repairs while stranded on a Normandy beach, there were many hardships and dangers from the natural elements and the enemy. 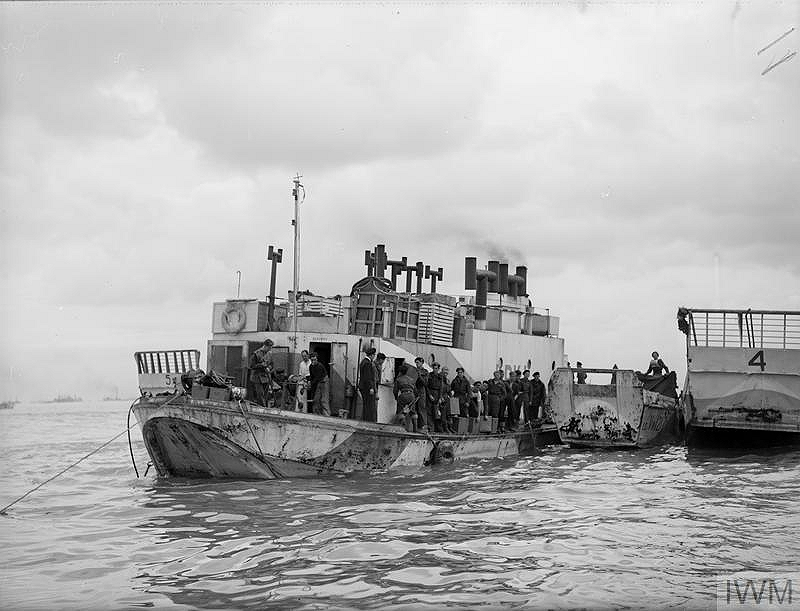 The common purpose of these non specialised landing craft was to transport the Allied armies, their weapons, equipment and supplies across the English Channel to the landing beaches and on the return to southern England to transport prisoners of war (PoWs) and wounded troops. *LCT 2331 Royal Navy Signalman, Mike Crumpton was a late addition to the crew of LCT 2331 in April 1944. Come D-Day, they successfully disembarked USA Army Lt George Worth commanding the 1st Platoon of Company B of 238 Engineer Combat Battalion with his men and vehicles... but in the wrong place! The shared experience of the crew of 2331 during the following 6 weeks when they simply vanished from official records, is unbelievable, even in the fog of war. No one they were in contact with saw it as their duty to inform the authorities of the whereabouts of 2331 or the state of health and wellbeing of her crew. Mike's frantic mother had made enquiries but after D-Day nothing was known. Read this remarkable and fascinating story of service to the Allied cause under the most difficult circumstances imaginable. 814 LCV(P) Flotilla 814 Landing Craft Vehicle (Personnel) "Build-Up" Flotilla comprised 16 identical craft whose primary task was the transport of men from large troop carrying ships anchored a few miles off shore to the landing beaches. On D-Day, Royal Marine, Roy Nelson, was a crew member on LCV (P) 1155 aboard a Landing Ship Tank (LST) for the journey across the English Channel to the landing beaches of Normandy. 7 of the 16 craft in the flotilla were subsequently recorded as war losses and two Royal Marines from the flotilla were killed. Their Commonwealth War Grave Commission records were corrected as a result of information gleaned during the preparation of this account. 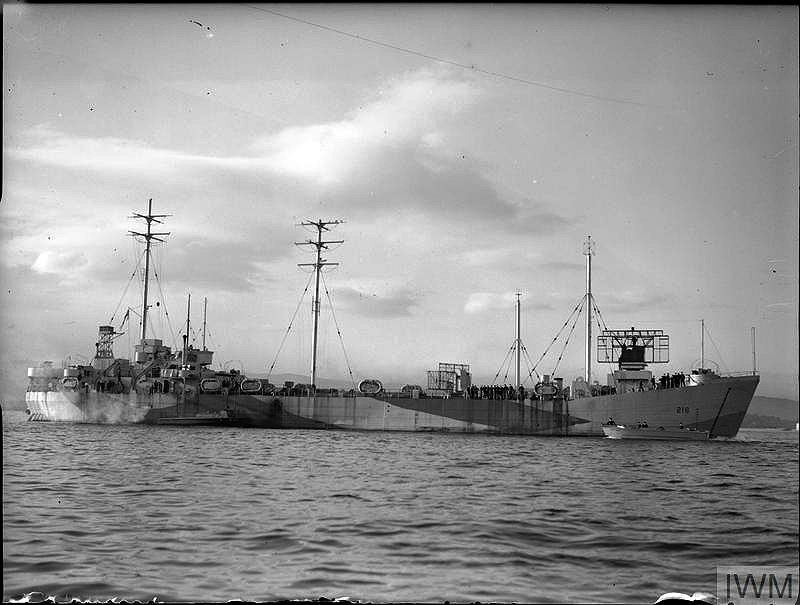 HMS Glenearn HMS Glenearn was a Landing Ship Infantry (Large), LSI (L). The purpose of this class of vessel was to carry large numbers of fully armed troops and the Landing Craft Assault (LCAs) that would carry them on the last few miles to the landing beaches. The LSI (L)s are often referred to as 'mother ships' because of their 'brood' of LCAs, 24 in the case of the Glenearn, all securely fixed to davits ready to be lowered, fully laden, into the water like a modern lifeboat. Since an LCA typically carried around 35 fully armed troops and some craft would return for a second load of troops, the Glenearn could carry around 1,500 men. She was a converted 16 knot cargo liner of about 10,000 tons and a D-Day veteran that also saw service in the Pacific theatre. LST HMS Misoa Requisitioned from the shallow waters of Venezuela's Lake Maracaibo in South America, Misoa saw service off N Africa, Pantellaria, Sicily, Italy and Normandy. These are the wartime memories of a young Royal Navy seaman who served on her. Although his ship didn't have the sleek lines and style of a cruiser, she came through many hazardous actions, relatively unscathed. She was regarded as a lucky ship since the only bomb to hit her failed to explode. As the crew were dispersed in April/May of 1945 as Misoa lay off Inveraray in Scotland, there was a sense amongst the crew that a great adventure had finally come to an end. HMS Royal Ulsterman was a WW2 troop carrying ship called a Landing Ship Infantry (Hand Hoisting) or LSI (H). Its purpose was to carry large numbers of fully armed troops and the Landing Craft Assault (LCAs) they would use to travel the last few miles to the landing beaches. LSIs are often referred to as 'mother ships' because of their 'brood' of LCAs, 6 in the case of the Royal Ulsterman, all securely fixed to hand operated davits ready to be lowered, fully laden, into the water. She was an ex English Channel ferry and saw action off North Africa, Pantellaria, Sicily, Italy and Normandy. USS LST 28 This was a large landing craft around 400 feet long and 50 wide with a capacity of around 1500 tons. There were a number of variants of this class of vessel which carried tanks, lorries, heavy equipment, supplies and troops. Its draft was 11 ft aft and 4 ft forward making it possible to land directly onto unimproved beaches. It was armed with a variety of 40mm, 20mm and machine guns. It carried its own 40 ton crane for loading/unloading and was akin to a RoRo ferry but with only one ramp. Coastal Command Coastal Command were not, of course, part of Combined Operations but, on and around D-Day, they played a vital role in support of the invasion fleet. German submarines (U Boats) were known to be concentrated in French ports and they were expected to attack the invasion fleet particularly on the approaches to, and in, the western side of the English Channel. Coastal Command's planes were equipped with radar and depth charges. Their task was to cover every part of the 'Operation Cork' area from southern Ireland to the mouth of the Loire, 20,000 square miles, every 30 minutes, day and night for an indefinite period... and it wasn't by accident that the interval was 30 minutes! These are one pilot's recollections. "Piers for use on beaches. They must float up and down with the tide. The anchor problem must be mastered. Let me have the best solution worked out. Don't argue the matter. The difficulties will argue for themselves." PLUTO The Pipe Line Under The Ocean, was a storage, pumping and pipeline distribution network in southern/central England, designed to supply petrol to the Allied armies in France, as they advanced towards Germany. This page tells the story of the planning, development, testing and installation of the 21 pipelines across the English Channel and the contribution of PLUTO to the war effort. Poetry A fine collection of heartfelt poems mostly about the Normandy landings on D Day and the Commando Memorial at Spean Bridge, near Fort William, Scotland. RAF Air Sea Rescue For five specially selected crews serving in the RAF Air Sea Rescue Service, D Day found them holding predetermined positions some miles off the Normandy beaches. Inexplicably, their orders told them to switch on their searchlights shortly before midnight. Heavy aircraft were soon heard overhead carrying thousands of paratroops behind enemy lines. They were guided by the searchlights acting as navigational beacons! The Air Sea Rescue crews knew nothing in advance of this small but vitally important task. Later, they resumed their normal duties patrolling the waters off the coast of north west France in search of downed airmen. 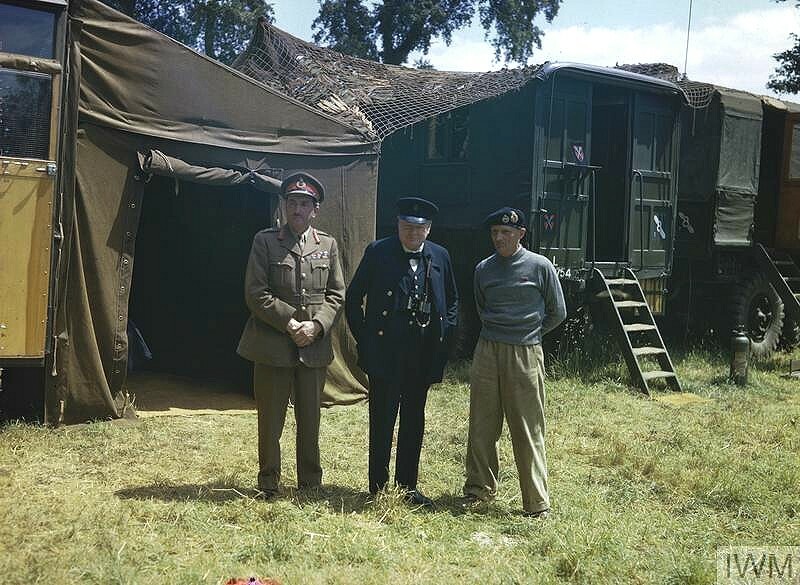 Royal Observer Corp Seaborne Ops The 796 civilian personnel from the ROC, were not formally attached to Combined Operations, although their curious uniforms had aspects of all three services! This created the unique spectacle of civilians in RAF blue uniforms, with Army black berets serving as Royal Navy Senior NCOs! On board ships on D-Day and beyond, they identified approaching aircraft as friend or foe, for the information of gunners. This, potentially, would reduce friendly fire incidents while increasing the number of enemy aircraft downed.